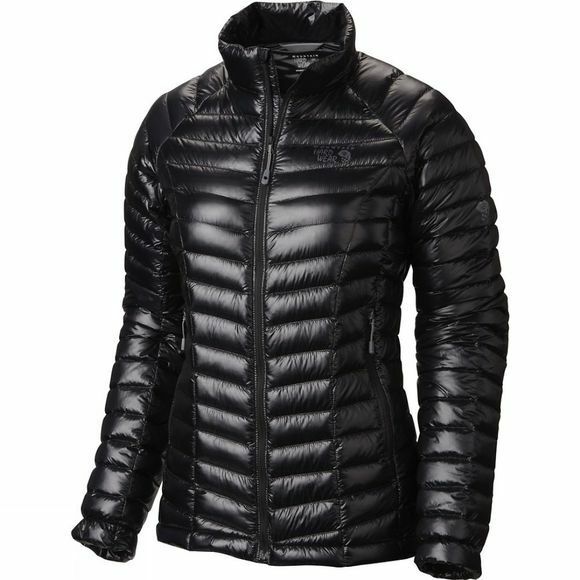 An incredibly light yet full-featured down jacket. 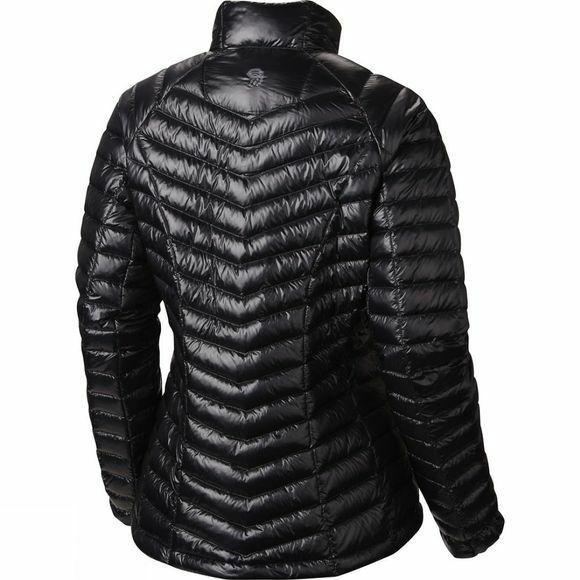 The Women's Ghost Whisperer Down Jacket uses Q.Shield Down 800 fill insulation that resists moisture and retains critical loft even when wet., and the low profile quilt patterning creates heat-trapping down channels for lightweight warmth that is incredible for layering. The jacket zips into its own pocket for compact storage and there is a built-in secure loop for a carabiner attachment to your harness when it is stuffed.